"If you hire people just because they can do a job, they'll work for your money. But if you hire people who believe, they'll work for you with blood and sweat and tears." Career Planning – What’s Next? What's involved in building a good career plan? Before, during or after you transition from the military at some point you must plan your next career path. Of course if you don't do this – who will? And you could end up in just a job rather than a "career" that would be much more fulfilling. It doesn't take long before one loses their motivation when looking for a job. With every application that goes out without a response, it can be viewed as rejection. 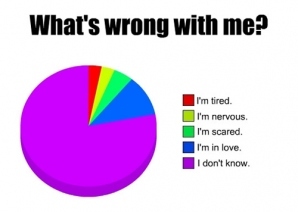 "What is wrong with me?" DEARBORN, Mich., July 9, 2012 — Over the next five years, there will be up to one million military personnel will return to civilian life and getting into the U.S. civilian workforce. Juxtapose this with the 600,000 jobs currently open in advanced manufacturing and the anticipated need for 10-million skilled workers by 2020, and the Society of Manufacturing Engineers (SME) sees a "win-win" opportunity for all. WASHINGTON, July 10, 2012 – Soldiers, sailors, airmen and Marines considering separating from the active-duty military this year may seek employment options in the railways industry, which last week became the latest to pledge jobs to veterans. Transportation Secretary Ray LaHood announced the 5,000-job pledge, making rail the latest industry to offer jobs as part of the Joining Forces campaign. Click here for a complete list and description of organizations of TAOnline.com growing Partners! The Veterans Retraining Assistance Program (VRAP) is accepting applications now. The VRAP, geared towards Veterans 35-60, is limited to 45,000 participants between July 1, 2012 and September 30, 2012, and to an additional 54,000 from October 1, 2012 through March 31, 2014. Approved participants may receive up to 12-months of assistance at the full-time payment rate under the Montgomery GI Bill – Active Duty program (currently $1,473/mo). To apply online - visit eBenefits. Step 1: Figure out what you want to do with your career. What is the objective of your work? As fundamental as that may sound, many of us spend our entire careers trying to earn an ever bigger paycheck rather than working to build up our sense of satisfaction and fulfillment at work. The U.S. Bill of Rights doesn't promise wealth to all Americans; it guarantees them Life, Liberty and the pursuit of Happiness. That's what you want to focus your career on-the pursuit of whatever brings you real and lasting joy in your work-and it's never to late too start that quest. Step 2: Identify and Attain Your Achievement goal. This is a goal that you can accomplish in the near future. perhaps the next 6 to 12 months. It identifies an outcome you can achieve in your current job or employment situation, such as the completion of a special project, the solution to an especially tough problem or the resolution of strained relations with your boss or a co-worker. The Achievement goal enables you to make a meaningful contribution to your employer-that's the only definition of loyalty that makes any sense in the 21st Century-and be loyal to yourself by advancing your own performance in the workplace-that's the only way to enjoy true employment security in the 21st Century. Step 3: Identify your Advancement goal. This is a goal that you can accomplish in the mid-to-longer term, say in the next two-to-three years. It identifies the next job you want to hold or the next level of work you want to be able to perform. It may involve your current employer or it may require that you move to another work situation, but it will always represent a major leap forward in your effort to develop and express your capabilities in the workplace. The Advancement goal is the way you ensure that your career is always moving forward-not up some employer's corporate ladder-but ahead in terms of the skills and experience you are able to use in your work. Step 4: Identify your Development goal. This goal is a bridge that connects your Achievement goal and your Advancement goal. It enables you to build on the success you achieve in your current job by adding the supplemental capabilities and knowledge that prepare you appropriately for the next challenge in your career. That might involve acquiring a new skill through training or a formal educational program; it might require that you achieve greater stature in your field through participation in your professional society or association; or, it might mean that you gain more sight and understanding about certain aspects of your work through discussions with a mentor. What are you planning to do after the military? Barbara Adams, President and CEO of CareerPro Global (CPG), the parent company of www.careerproplus.com and www.militaryresumewriters.com, has been a member of the careers community for the past 20 years. Ms. Adams holds four prestigious industry certifications. CareerPro Global is the only ISO 9001-2008 Certified Career Service in the industry, as well as one of the fastest-growing Military, Federal, and Civilian Resume-Writing and Careers-Coaching companies. The team of Certified Professional Federal and Military Resume Writers at CPG assist thousands of clients in applying for and gaining employment each year. We can help you land your military to civilian job. The resume is most often the issue. Is it specific to the individual job being applied for? If not, it needs to me. Don't play the numbers game. It may pay out very rarely, but there is better response to a resume that reflects key words from the actual job description. Your drive directly affects how determined you are in finding a job. Are you spending 5 minutes a day or 3 hours? Schedule your job search and stick to it. If you are unemployed, your job is finding a job. Attitude is a killer. I have engaged in conversation over a person's job search and the comments I get are, "I already do that" or "I know what to do." Yea, well how's that working for ya? Be willing to learn something. Anything. If you know everything there is to know, it's no wonder you are unemployed. No one wants a know-it-all. Maybe you don't claim to know it all, but you have become too disappointed by your search. Find a way to stay optimistic. I ran across the following chart listed in Job Search with Social Media for Dummies - Stay Motivated throughout Your Job Search via Social Media. I know it's easier said than done, but it isn't personal. Do what you can. Stay focused and motivated. Leave the rest to the tools you employ. Meditate. Studies show that just 20 minutes of daily meditation can significantly reduce cortisol levels in the body, which in turn reduces the feelings of stress. Exercise also reduces stress, so if you can't meditate, get to the gym instead. And if you really want to feel calm and confident, do both. Find out what skill you're missing and then take steps to acquire that skill, whether it be taking a class, attending a seminar, or brushing up on the latest trends in your industry. Break down the thing you're feeling overwhelmed about into smaller and smaller chunks. Then do one small piece at a time. Don't let feeling overwhelmed stop you from reaching your goals. Take a step back and look at your situation dispassionately so you can solve the problem at hand. If you need to release some anger, go do that, but then come back to the table with a clear head. Also remember to not take things so personally. Keep focused on what you can control. Conquer procrastination by having clear next steps to a worthy goal. Record your progress and make sure your skills can meet the challenge. The real issue may actually be another item in this list. Find it and deal with it. Start with the outcome you want and then work your way backward by thinking of what it will take to make that happen. Break down each task into easily digestible chunks and take one step at a time. Use a scorecard to track your progress toward your larger goal. If you're just ticking things off a task list, you're not giving yourself enough feedback. Remember to celebrate each success, no matter how small. DEARBORN, Mich., July 9, 2012 — Over the next five years, be up to one million military personnel will return to civilian life and getting into the U.S. civilian workforce. Juxtapose this with the 600,000 jobs currently open in advanced manufacturing and the anticipated need for 10-million skilled workers by 2020, and the Society of Manufacturing Engineers (SME) sees a "win-win" opportunity for all. Starting this month, the U.S. Army will begin a pilot project to provide SME industry certifications to validate existing military personnel skills for civilian manufacturing jobs. This is one of the first actions from the new Department of Defense's Military Credentialing and Licensing Task Force recently announced by President Obama. "We know that military personnel have solid skills with good work ethics, and have much to offer employers," said Mark C. Tomlinson, CMfgE, EMCP, executive director/CEO of the Society. "With SME certifications in hand, they will also have industry credentials manufacturers are familiar with — making it easier for vets to move into the civilian job market." The first cohort of soldiers will began a six-week program at Fort Leonard Wood, Mo., last week after which they will take the certification exams. As the pilot project progresses, the Task Force will work with SME and other credentialing organizations to identify and address gaps between military training programs and the credentialing and licensing requirements. This partnership with the DOD aligns with the White House's goal to of having 500,000 workers receive NAM-endorsed manufacturing certifications over the next five years and positions individuals for employment and advancement in manufacturing jobs. The jobs, offered by about 500 companies, range from operating locomotives to working in signaling and telecommunications. "It's the whole spectrum of work," Navy Capt. Brad Cooper, director of Joining Forces said. Most of the jobs are in freight rail, but also with Amtrak, commuter rails and rail supply companies, he said. The industry is hiring because it's growing, according to Ed Hamberger, president and CEO of the Association of American Railroads, with some $23 billion in investments at the same time that nearly a quarter of the freight rail workforce will be eligible to retire by 2015. "We want to reach out and let veterans know that we're hiring," he said. The industry has actively recruited veterans since it sought out military academy graduates to build the first railroad system more than 200 years ago, Hamberger said. "We've learned that the skills service members learn in the armed forces translate very well to our industry," he said. "We, first and foremost, are focused on safety. You learn in the armed services that if you don't follow the rules, bad things happen". The rail industry made more than 20,000 new hires last year –which was more than 5,000 than it expected – and one in four are veterans, Hamberger said. ©TAOnline.com 1996-2012, All rights reserved.